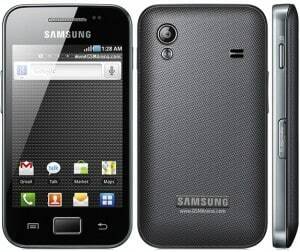 Recently Samsung released the Jelly Bean update for Samsung Galaxy Ace 2. The update is a big one, especially because Ace 2 gets updated directly to Jelly Bean from Gingerbread. If you are among the ones that update their phone to the latest JB 4.1.2 you may also want to root your Galaxy Ace 2 now. Before going further we must inform you that rooting may void your warranty and it is not 100% safe to do it. You need to know a little about rooting before performing this on your Galaxy Ace 2. Make sure you know what you are doing as we cannot be held responsible if anything bad happens to your device. In order to root you Galaxy Ace 2 running on Jelly Bean, you need to follow our tutorial below that uses a flashable zip image developed by Shaaan, member of Xda developers. This rooting method doesn’t require a custom kernel, so you don’t need to install CWM or other custom recoveries to root. Also this method will not increase the binary counter. First you have to download the root .zip file from here. After you download the zip file you need to place it on your SD Card. You cannot install this without an SD card so be careful. Now you have to turn off your Galaxy Ace 2 and enter Recovery Mode. To enter recovery mode you have to pres Volume up + Home + Power in the same time. In the recovery menu select “install zip from sd card” and select the zip file that you placed on your sd card at step 1. After you select the root.zip file wait until the installation is done. This should root your Galaxy Ace 2 running on Jelly Bean. This is the procedure to root you Galaxy Ace 2 if you updated it to Jelly Bean. Tell us how it went.